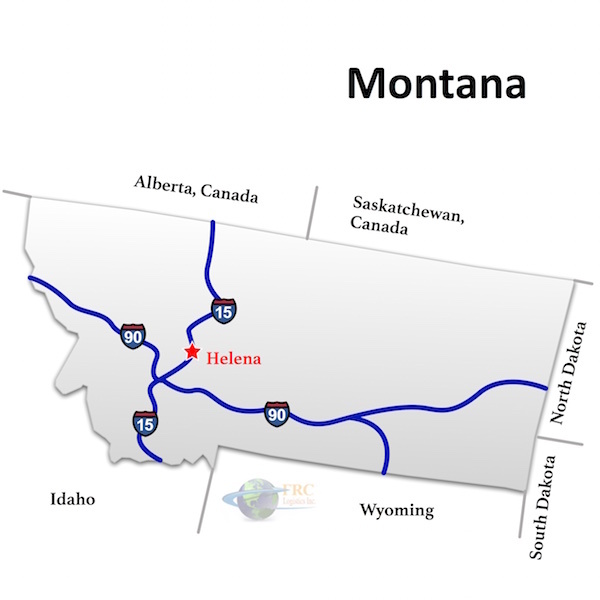 Utah to Montana Freight shipping and trucking services are in high demand; Provo to Billings is a major route for freight shipping services. The Provo, UT to Billings, MT route is a 622 mile trip that takes a little over 29 hours of driving to complete. Shipping from Utah to Montana ranges from a minimum of 311 miles and 5 hours from Logan, UT to Big Sky, MT, to over 1,225 miles and a minimum of 18 hours on the road from St. George, UT to Westby, MT. The shortest route from Utah to Montana is along the WY-28 E; however, there’s also a more western route that also uses the I-15 N traveling through Pocatello, ID instead of Riverton, WY. Almost all of Utah’s nearly three million inhabitants live among the valleys of the Wasatch Front. As a result, much of the state is largely uninhabited and unspoiled. To the west of the I-15, the landscape is broadly desert. To the south and east, the soft sandstone has been etched by wind and weather over time to form stunning natural sculptures. Dotted throughout the state are pine forests, valleys and basins. The climate is semi-arid or desert, with moisture coming chiefly from Pacific Ocean storms or Gulf of California monsoons. Winter inversions are common, especially around the basins, causing haze and freezing fog. Tornados are unusual, but wildfires are increasingly common due to the high summer temperatures and dry climate. 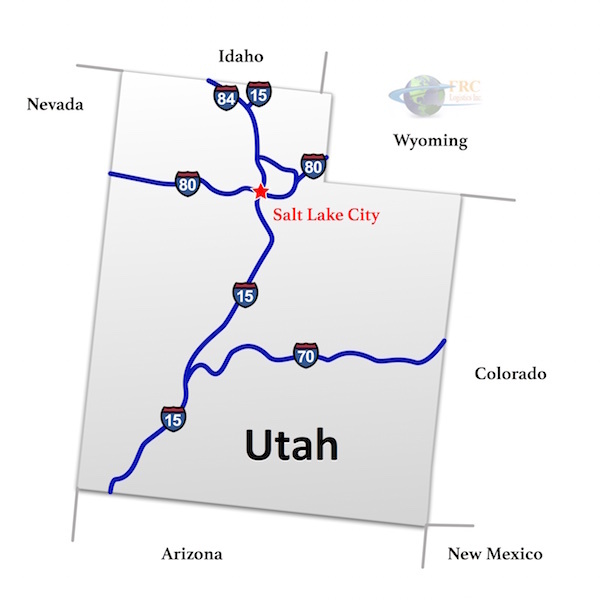 Utah to Montana Freight shipping quotes and trucking rates vary at times due to the individual states industry needs. Since Utah is mainly industrial and Montana is mainly agricultural, with manufacturing and distribution centers throughout, we see plenty of shipments by Flatbed as well as by the more common dry van trucks. Our Less Than Truckload (LTL) carriers in both Utah and Montana are also running a number of regular services between the two states, and it’s an active route for heavy haul freight shipments, as well.